With Spring in the air, the Easter Bunny isn't the only one carrying a basket full of goodies. "My workspace travels wherever I go," said Sandra Marie Pape, of Bear Hugs Originals. "I very much prefer to be with my family whenever possible, so I load a little wicker basket with all the materials that I need to keep me sewing and just carry my work with me." 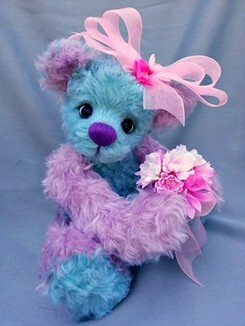 Living in North Port, Florida with her husband, two children and three romping potbelly pigs, Sandra creates heartwarming teddy bears; a passion that has blossomed through the years. As the middle child, Sandra grew up sharing many toys with her two sisters. 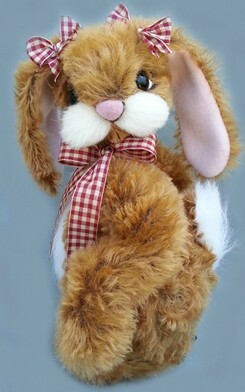 "We shared a hand me down teddy which we all called 'Old Bunny.' He was originally a very pretty pink plush toy but by the time we were all through loving on him, he was dull, grey, torn and tattered, missing an eye and practically falling apart." It wasn't long until the creativity bug bit and Sandra began making her own creations. "I received a felt kit for Christmas when I was little. It was the cutest thing and I remember being excited when I opened it," she recalled. "The kit made six adorable little felt mice; all of which I still have today and display proudly on my Christmas tree each year." 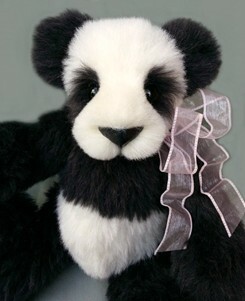 Once bear making took hold, Sandra put all her heart and soul into every creation. "I spend many hours creating each one and I do not stop until I feel it has 'the look' that will put a smile on someone's face. 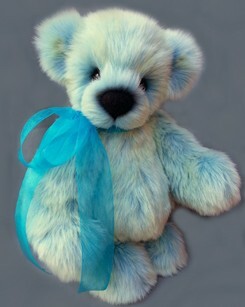 I want to make sure my teddies reach out to people," Sandra noted. While Sandra loves making her teddy bears, it hasn't always been the easiest task. For a while, Sandra could not create her teddy bears. An injury in the 1990's stopped her in her tracks. “Unfortunately it did take me out of bear making for many years. But, I am back and trying to make the best of it." With renewed enthusiasm, Sandra developed new techniques and ways of creating her bears. 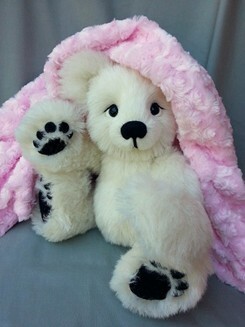 "Oftentimes, inspiration doesn't come at the beginning of the bear making process. Instead, it comes while I create my bears. I let them speak to me and I take it from there." This is perhaps why her favorite aspect of making bears is creating their heads. "I love working on their heads because they start to become animated and start speaking to me as I shape and sculpt their features. It's very comforting for me and I put a lot of my own heart into each of my creations." Loving to needle felt, Sandra has had plenty of practice on what works and what doesn't. "It does take practice and a lot of patience, but starting off with the right wool and felting needles certainly makes it easier." She uses needle felting techniques when making the paw pads for each of her creations. "It is very time consuming but certainly well worth it because to me, it looks so much nicer than just a plain piece of felt or fur for the paw." In the future, Sandra intends to re-do her teddy bear patterns to try her hand at making a few realistic bears. "I'm really looking forward to dying some colored mohair to use. I try to continue to research techniques and advance my skills as much as possible." But most importantly, she loves what she does. "My plans for the future are to continue to make my bears with as much love and passion as I can." Constantly having love, family and determination as driving forces in her life, it's certain that Sandra's bears will continue warming the hearts for a long time to come. 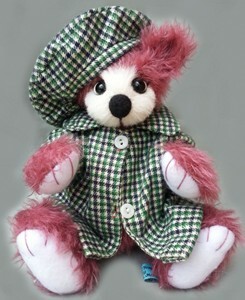 Sandra bears are often in Bright Star Promotions online teddy bear shows, and available on her web site. Find her on Facebook too!